Grammy gave Sophie a very special birthday present today. 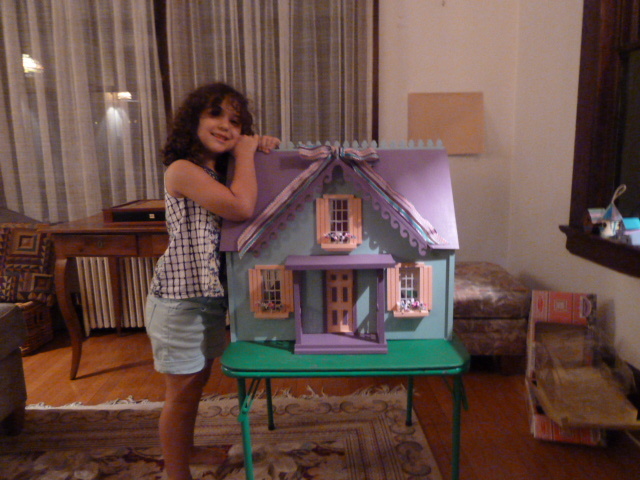 All the more special because she assembled it and painted it with lots of love and 30 hours of toil. Sophie is beside herself with joy. P.S. The house is not for sale. Previous PostChocolate for a Good CauseNext PostHappy 6th Birthday, Sophie!